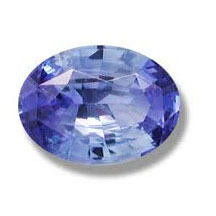 Blue Sapphire A clear hard variety of corundum used as a gemstone that is usually blue but can also be available in any color rather than red. The value of the stone is depends on its size, colour and transparency. Blue Sapphire heals, nourishes, and brings order to the mind. The blue ray carried by the stone disintegrates disharmony in the physical head and profoundly benefits all functions centered there. It helps expanding mental potential and enhances the ability to distinguish between one mind and one higher self. Our online shopping offers you this precious stone in different rattis. For children recomended ratti 1.5 to 2, for minor 2.5 to 4 ratti and for adults 4.5 to 8 ratti. Ring should be made of only Gold or Silver. Ring should be worn only on Saturday 5 to 8 p.m and Ring should be worn in Madhyama or Kanistha finger.